The MV-5 is a versatile, high-performance video and graphic multi-window viewer for DVI signals, SD and HD analog signals up to 1920 x 1200@60 Hz, and SDI signals up to 3G HD-SDI. 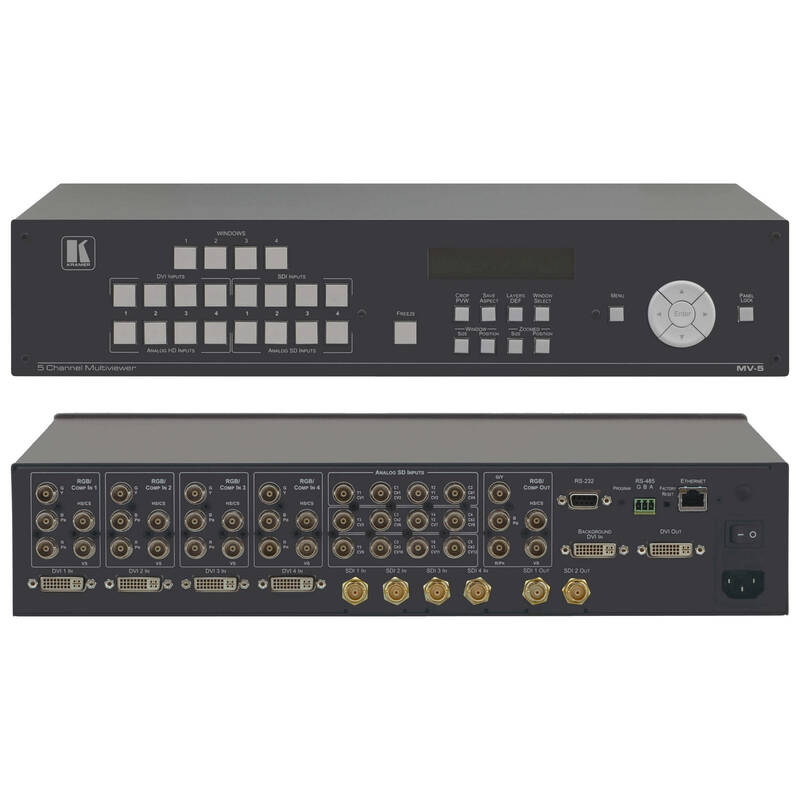 The device can window up to four sources (plus a background) in any layout and output the image as SDI, DVI, component and composite video signals. Both preprogrammed and customizable screen division is supported.